Pro Lighting Rental - Smart, stylish lighting packages for your event will provide a big-time impact. Soundhouse offers a great selection of professional event lighting, whether you've got a small DJ gig, a large scale corporate event, or anything in between! Looking for convenient, plug-and-play sound-activated effect lights for a small to medium dancefloor? We've got you covered. We can also provide a more substantial lighting rig from the ground up, utilizing the latest and greatest fixtures out there. We can provide a custom solution for your event from design to execution based on your floor plan or requirements, including delivery, set-up and on-site technician. Check out our lighting packages, contact us at rentals@soundhousenyc.com or give us a call at 888-826-1299 to discuss your specific needs! Perfect for selective accent lighting or a stunning color wash for a small room or stage. ** Battery operated lights run for 8 hours - no outlet required, place them anywhere. Perfect for selective accent lighting or a stunning color wash for an outdoor area. ** Battery operated lights run for 8 hours - no outlet required, place them anywhere. IP rated for temporary outdoor use. Warm up your large venue with beautiful color accents and elegant washes. Warm up your medium sized venue with beautiful color accents and elegant washes. Go Big. Two 8' truss spans on DuraTruss DT-3900 crank stands. 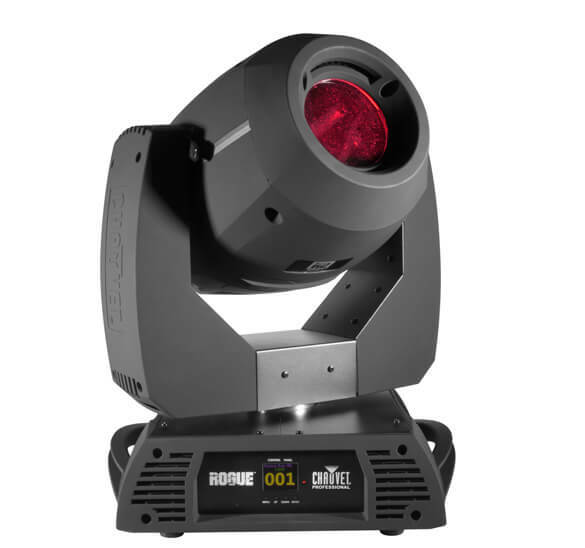 Each loaded up with a pair of big time crowd pleasers, the Chauvet Professional Rogue R2 Moving Head Spots, along with 2 impressive laser fixtures and 2 powerful strobe / flood / audience blinders. Bring it all to life with the touring-grade Chauvet Amhaze II Haze machine. Note: This package requires delivery, setup, and external control via DMX or showxpress app, typically by an on-site technician. Additional charges apply for delivery, setup, and on-site technician. Contact us for details! Build your own. Build your own package from a selection of our bold effect fixtures. A good look. An amazing package for a medium-sized dancefloor, pairing our staff favorite plug-and-play moving head fixture, the ArtFox Flex Beam K8, with the awesome "laser sky" effect of the ADJ Royal 3D II. Mount all fixtures easily to the DuraTruss DT-3900L with included clamps. Crank it up, add some haze and party down. Quick and easy. This small but effective package is about as simple and affordable as it gets, offering an array of preset lighting effects in a simple package for a small dance floor. This affordable package is great for adding a splash of color to your event. Featuring our most impressive and full-featured static wash lights, this package will provide dramatic, impressive color washes for your large venue or stage.